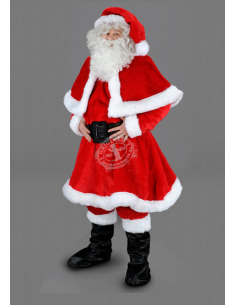 This costume is made by professional tailors and therefore is of very good quality which makes itself felt for appropriate use. 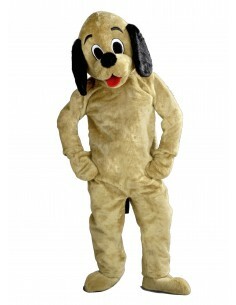 This costume is made by professional tailors and is therefore very good quality. 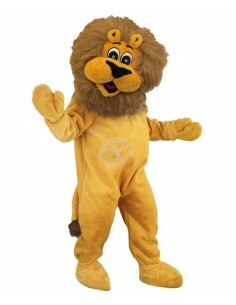 This costume is made by professional tailors and is therefore of very good quality which makes itself felt in professional treatment. 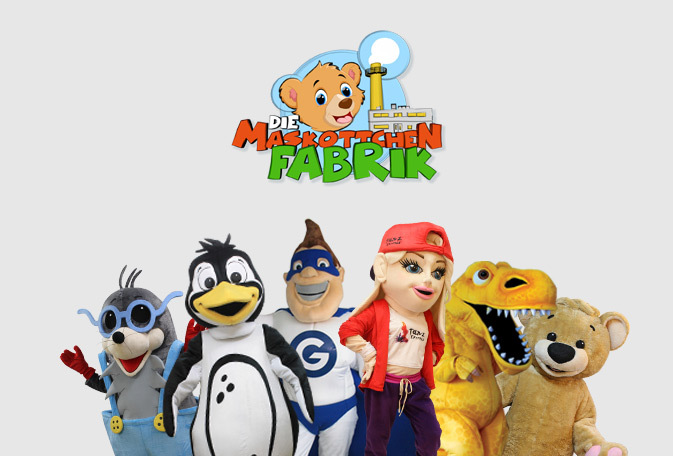 Mascotti24 is the biggest mascot costume shop in Germany and has had a lot of experience in mascots, promotion costumes, walking acts and running figures since 1999. 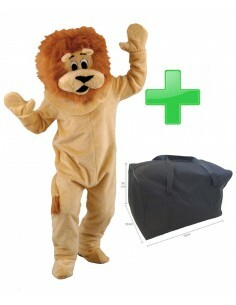 We carry over 850 products around the mascot costume: Many useful accessories parts such as cooling vests and stuffing cushions or transport bags and extras such as the matching pants, hat or T-shirt for your costume. 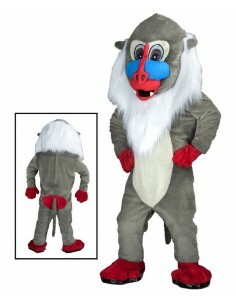 We also like to print your company or club logo on the costume or accessories as desired. All of our products are professionally and responsibly manufactured and thus guarantee a high quality in fabric and workmanship. 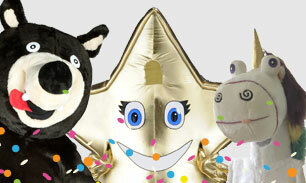 Each mascot costume is made individually, individually designed and handpainted. 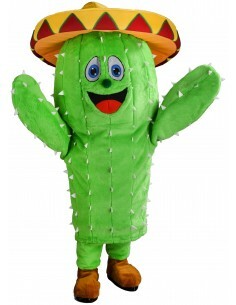 The costumes are produced only from the order, so that we can respond to individual customer requests. 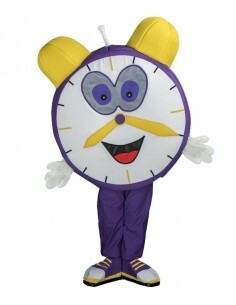 As a rule, production time (depending on the model-type costume) can be expected to be between 03 to 05 and 18 to 23 working days. 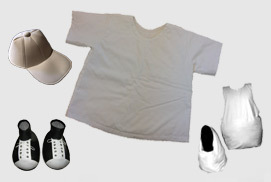 Even an individual costume production is possible according to your ideas. For this we offer two different production variants. For the "Premium Production" you create the drawing, send it to us by e-mail and you will receive your suitable free offer. 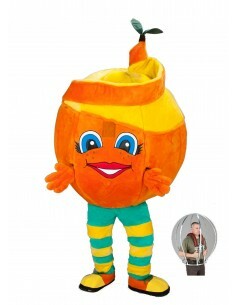 After ordering you will receive the costume within 04 to 06 weeks. 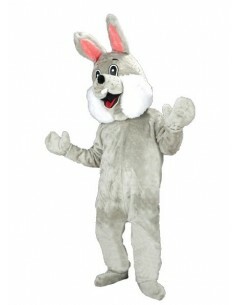 Or you decide for an exclusive and individual production according to your costume wishes. 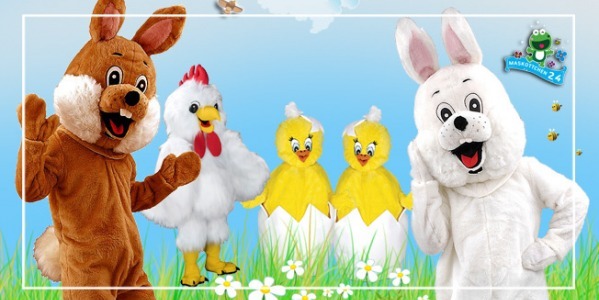 This is our professional "High Class Production", these costumes are produced for amusement parks, large corporations and TV / Cinema productions.The production takes depending on the order situation between 06 and 09 weeks. 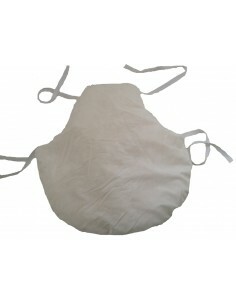 Kühlsystem Set - Kühlweste & Kühlhalsband "Blue Star Modell"
This mask / hood is made by professional tailors and is therefore of very good quality that makes itself felt in professional treatment. 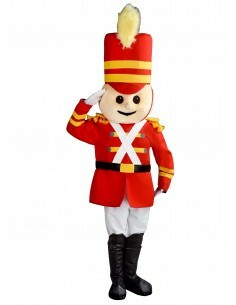 Under the name "Mascot Factory" will be arranged according to your costume needs a premium production. 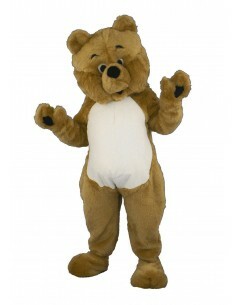 This starts depending on the costume from € 1,990.00 and will be implemented according to your wishes / template. The premium quality, with the best price-performance ratio !!! 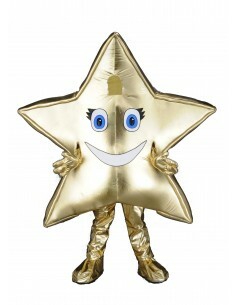 Under the name "costume heroes" the most professional production is arranged according to your costume wishes. 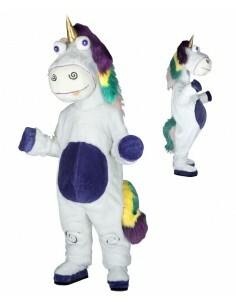 This starts depending on the costume from 6.990,00 € and will be implemented according to your wishes / template. The high-class quality, true to the motto "nothing works" !!! 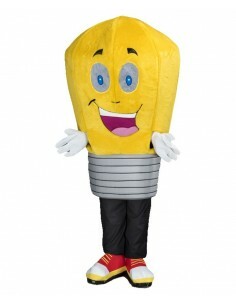 Please note that a mascot is the advertising medium for your company / company or sports club.. 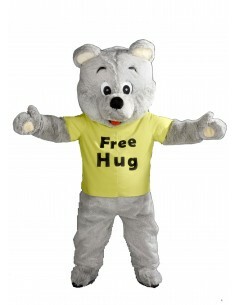 This mascot costume will later be seen on many photos, videos or even TV and social media channels! 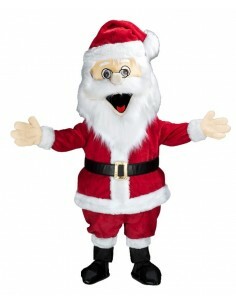 We therefore recommend that you always use the means at your disposal to buy the best product for your mascot costume. 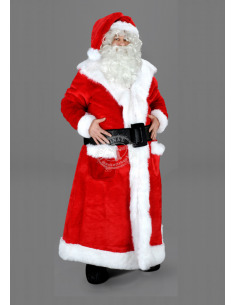 Product descriptionThis costume is made by professional tailors and is therefore of very good quality which makes itself felt in professional treatment. Hey people, you are really cool. Thanks for the great work. 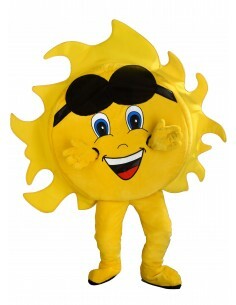 That new mascot has become really gudd !!! 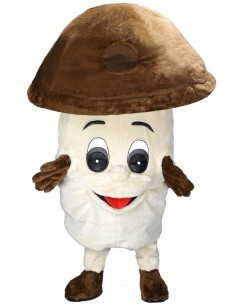 We like the costume very much. The order process and shipping have also worked very well and smoothly! Fans, team and we are very excited. Not only because of the victory Falko is worth every penny! 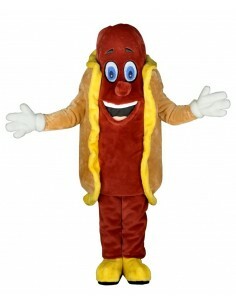 I still have to smile properly when I think about it ... A TRUE SUPER GEILES MASCOT COSTUME !!! Enthusiasm for young and old !!! Thank you for your cooperation. Our mascot "LaHrs" says THANK YOU !! "Tobi the seal" is the highlight of the "Tobi world" !!! 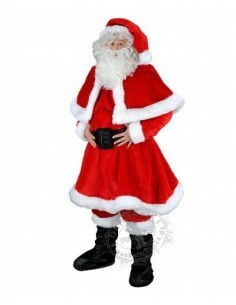 Dear Sirs, I am very satisfied with the service, the order process, the shipping time and the costume. It's exactly as I imagined and hoped for it! 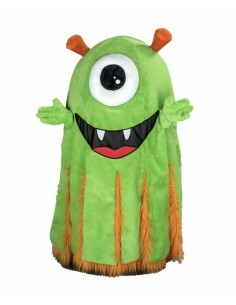 In addition, I think it's very good that you have adapted the bag according to the costume for free. Thank you so much. 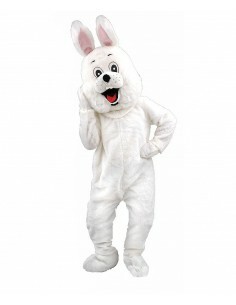 You get an "Easter Bunny Costume" (74p) in brown or white or gray or pink for only:249,00 € + 10,00 € DHL Shipping within Germany(Europe + 30,00 € / outside Europe + 42,00 €)The costumeAll of our Walking Act running costumes have been made by professional tailors - on modern industrial sewing machines and by hand!Used is a high quality material - pure plush fabric. 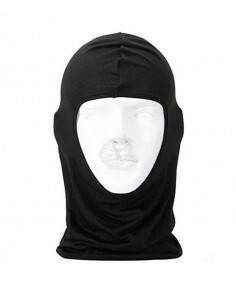 This ensures a high wearing comfort.To cover all skin parts of the wearer, you will receive several costume pieces. 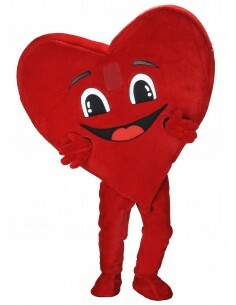 In the first place you usually get a costume head, a body costume, a simple stomach pillow or belly rings (to wear like a dressing skirt), hands and feet. 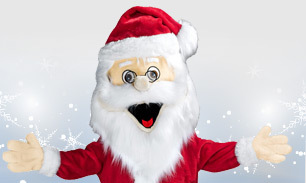 Of course, the head contains air and sight holes that make breathing and seeing easier.Basically, the head is simply put on the head like a hat and fastened to the body with a Velcro fastener. 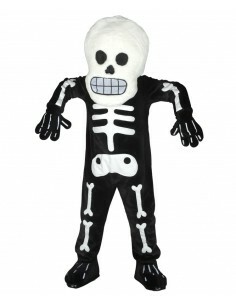 The body costume (one or two pieces, depending on the costume) is worn like a jumpsuit or just like sweaters and pants. 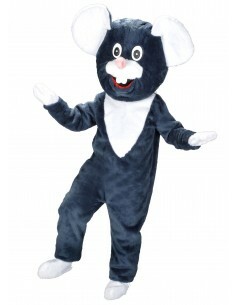 The hands are gloves and the feet consist of cuffs that you can wear over your own footwear as they are open at the bottom.design typeOur mascot running costumes are - as already mentioned - quality-consciously made by qualified tailors and tailors! These are by no means Far Eastern productions of our products! Please also pay attention to cheap copies of our products on the Internet, as our photos are often copied!All costumes were made according to the CE safety standard. This means, among other things, that they were made in a unit size. 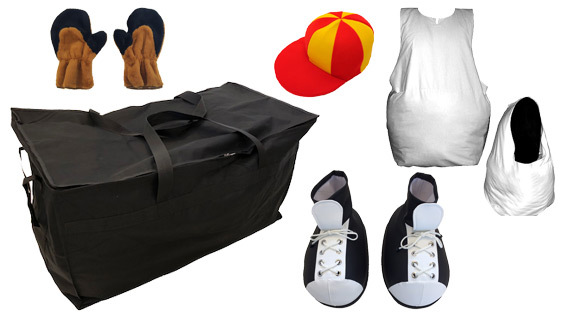 So carriers with a height of 1.70 m and 1.90 m can easily wear the costume.The quality can only be maintained if you follow the enclosed care instructions: So you can easily clean the costume in the washing machine - at 30 ° C in wool scrubbing cycle. Excluded from this washability is the head, which should be cleaned by hand washing. 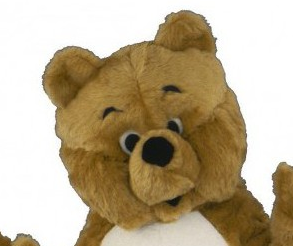 This is because the head may contain pieces of plastic that would damage the costume and / or your washing machine. 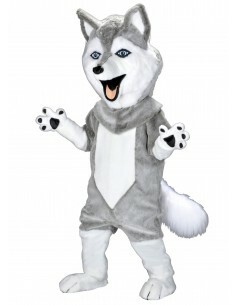 In addition, the costume must not be given in the dryer. Also, you should not iron the Walking Act running costume!Overall, the running costume is very durable - but of course there are limits. So you should not wear the costume near fire.Cleaning:• 30 ° wool gentle wash for all plush parts (except head)• No drying application possible• DO NOT iron plush fabric• Hand wash only (be careful with colored airbrush - eyes &amp; details)• Indoor and outdoor use (weather dependent - not rainy)• Do not stay near fire !! !• Do not smoke while wearing !! !• Do not wear while driving !! !You have change requests? No problem! We consider your individual ideas for a particular color and the cut. If desired, we can also integrate your club logo. 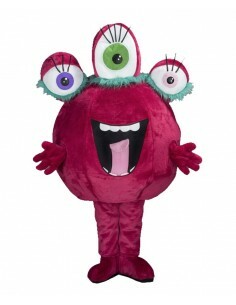 Give us a call?Costume will be shipped immediately after payment !! 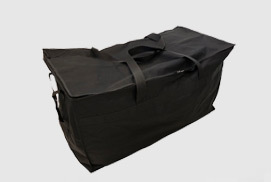 IN STOCK...(From order and prepayment)Note:For shipments to non-European countries or non-European countries, additional country-specific import duties and customs clearance fees may apply.The fees depend on the respective order delivery country. Exact fees can be found at Customs. 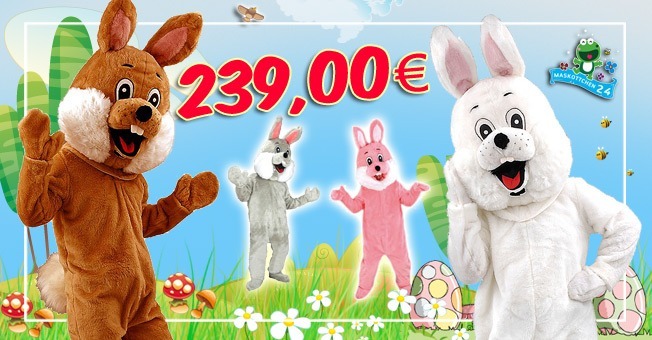 You get an "Easter Bunny Costume" (74p) in Brown or White or Gray or Pink for only:249,00 € + 10,00 € DHL shipping within Germany(Europe + 30,00 € / outside Europe + 42,00 €)The costumeAll of our Walking Act running costumes have been made by professional tailors - on modern industrial sewing machines and by hand!Used is a high quality material - pure plush fabric. 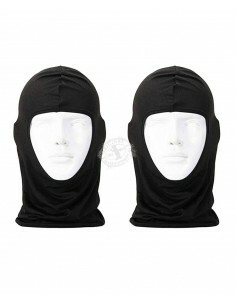 This ensures a high wearing comfort.To cover all skin parts of the wearer, you will receive several costume pieces. 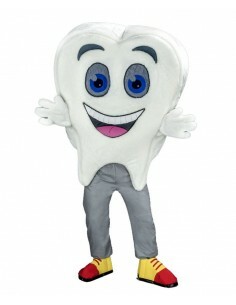 In the first place you usually get a costume head, a body costume, a simple stomach pillow or belly rings (to wear like a dressing skirt), hands and feet. 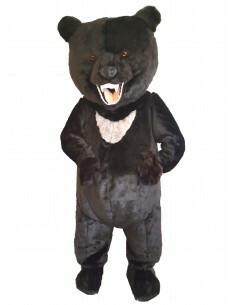 Of course, the head contains air and sight holes that make breathing and seeing easier.Basically, the head is simply placed like a hat on the head and fastened with Velcro on the body costume. 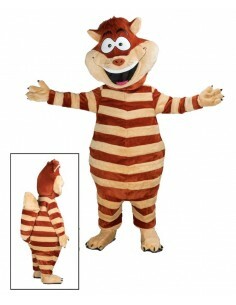 The body costume (one or two pieces, depending on the costume) is worn like a jumpsuit or just like pullover and pants. 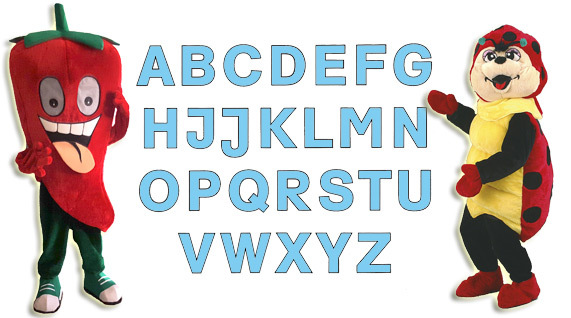 The hands are gloves and the feet consist of cuffs that you can wear over your own footwear as they are open at the bottom.design typeOur mascot running costumes are - as already mentioned - quality-consciously made by qualified tailors and tailors! These are by no means Far Eastern productions of our products! Please also pay attention to cheap copies of our products on the Internet, as our photos are often copied!All costumes were made according to the CE safety standard. This means, among other things, that they were produced in a unit size. 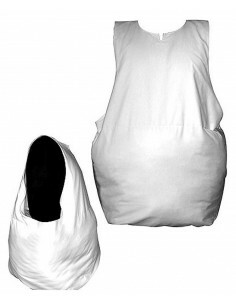 So carriers with a height of 1.70 m and 1.90 m can easily wear the costume.The quality can only be maintained if you follow the enclosed care instructions: This allows you to easily clean the costume in the washing machine - at 30 ° C in a wool-gentle cycle. Excluded from this washability is the head, which should be cleaned by hand washing. 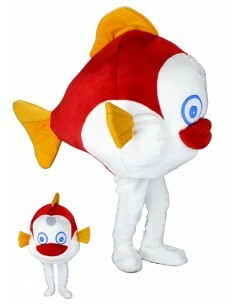 This is because the head may contain pieces of plastic that would damage the costume and / or your washing machine. In addition, the costume must not be given in the dryer. Also, you should not iron the Walking Act running costume!Overall, the running costume is very durable - but of course there are limits. So you should not wear the costume near fire.Cleaning:• 30 ° wool gentle wash for all plush parts (except head)• No drying application possible• DO NOT iron plush fabric• Hand wash only (be careful with colored airbrush - eyes &amp; details)• Indoor and outdoor use (weather dependent - not in case of rain)• Do not stay near fire !! !• Do not smoke while wearing !! !• Do not wear while driving !! !You have change requests? No problem! We consider your individual ideas for a particular color and the cut. If desired, we can also integrate your club logo. 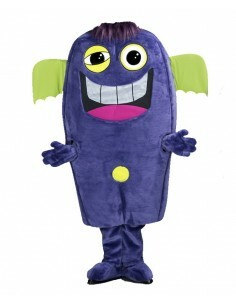 Give us a call?Costume will be produced to order within 4-6 working days. 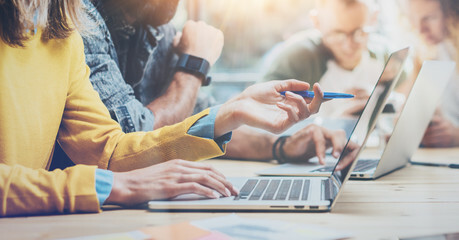 (From order and prepayment at Mascottchen24.de)Note:For shipments to non-European countries or non-European countries, additional country-specific import duties and customs clearance fees may apply.The fees depend on the respective order delivery country. Exact fees can be found at Customs. 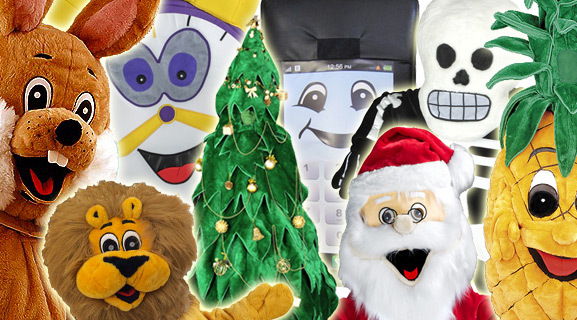 In the costume shop you will find more than 850 different mascot costumes, running figures, promotional costumes or so-called walking acts. 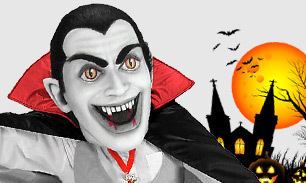 In addition, you will find a wide range of accessories products that make a costume complete. 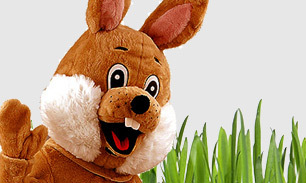 In den vergangenen Jahren haben große Vereine oder Unternehmen mit Maskottchen24 zusammengearbeitet. 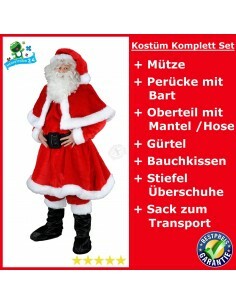 Und das zeigt auch der Erfolg mit den Kostümen! Hier eine kleine Auswahl unserer Kunden: OBI, Zalando, MC Donald´s, ECE Management, Das Futterhaus, Bayer04 Leverkusen, 1. FC Kaiserslautern, SPAX, SKODA, Generali Versicherungen, ERGO, Dorint Hotels & Resorts, VW, Telekom Baskets Bonn, Alba Berlin uvm. 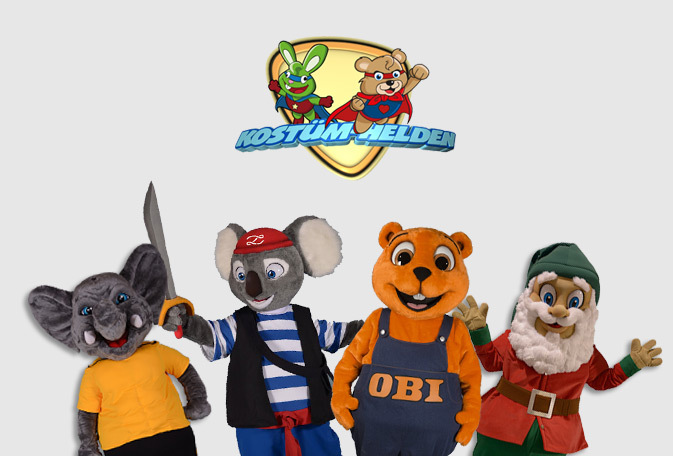 Du bekommst auf Maskottchen24 nicht nur hochwertige Maskottchen Kostüme, sondern auch einen regellos zuvorkommenden Service! So kannst du neben dem Shop auch individuelle Änderungen wie eine Farbänderung (geggen Aufpreis) an deinen Maskottchen vornehmen lassen. 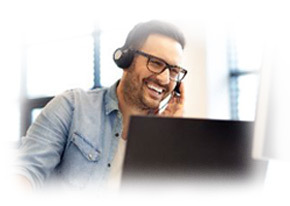 Unter dem Menüpunkt „Infos“ findest du viele Tipps für den Umgang mit deinem Maskottchen oder unseren Reinigungs & Reparatur Service. 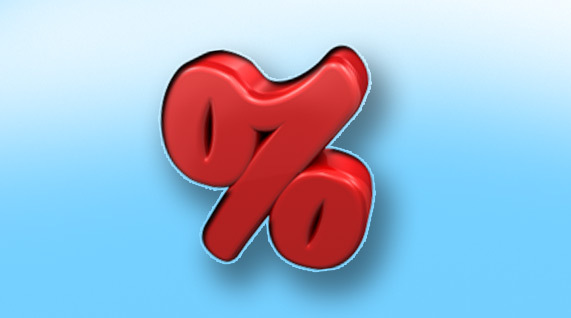 Neben diesen Infos kannst du auch auf den Maskottchen Blog wechseln, um beispielsweise über Maskottchen Kostüm Angebote oder einen Rabatt Gutschein informiert zu werden. Und wenn du Fragen hast, dann steht dir das kompetente Team von Maskottchen24 natürlich auch über das Kontaktformular zur Verfügung. 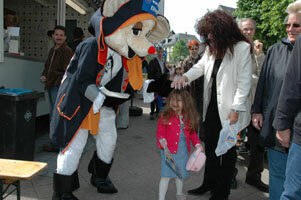 Have fun with our mascot costumes, wishes the Maskottchen24-team! 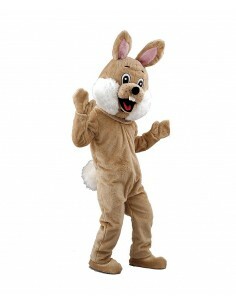 Since 1999 the name Maskottchen24 stands for quality in the mascot costume range. 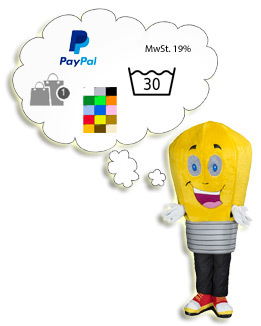 Each mascot costume is made individually, individually designed and partly hand-painted. 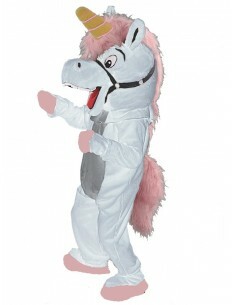 In addition to standard shop costumes, we also offer custom productions. Call us if you have any questions.